When my brother got married this year, my new sister in law asked me to help make some crafts for their wedding. 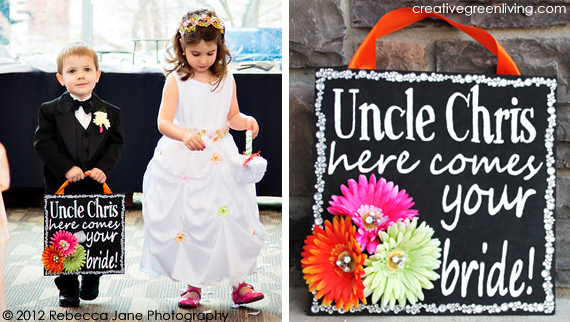 I wrote about the sign she wanted my son to carry down the aisle back in March (see it here). 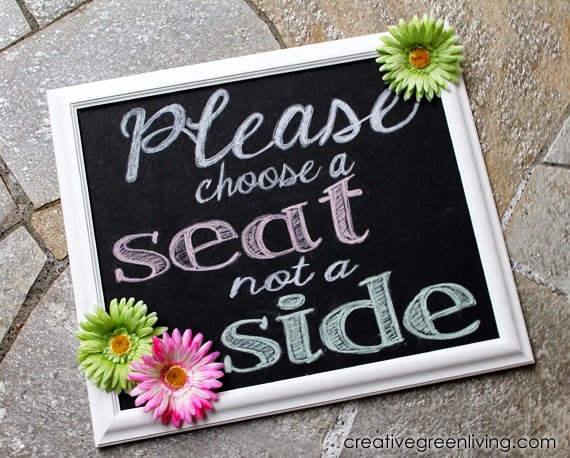 I used some more of the bright daisies I had leftover from that project and made a great faux chalkboard seating arrangement sign. The great things about using foam core instead of real chalkboard is that you get the trendy look of chalkboard but don't have to worry about it getting erased. Please note that the following tutorial and free printable are for personal use only and not for creating items for re-sale. Download and print the free PDF file. 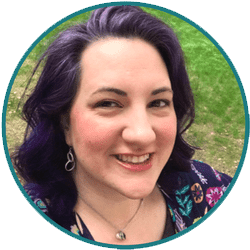 There will be a significant amount of overlap between the pages. Line everything up and tape together on the right side. 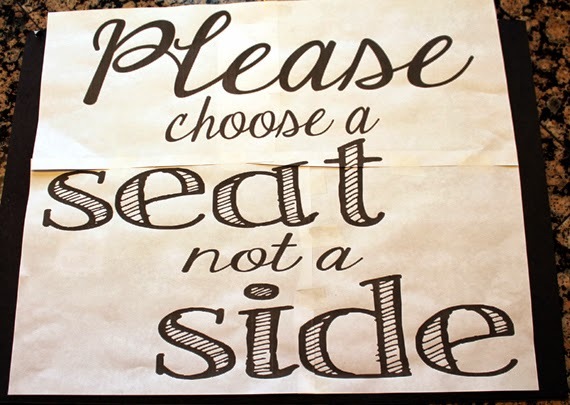 Confirm that size of the assembled printable is compatible with size of the foam core board. 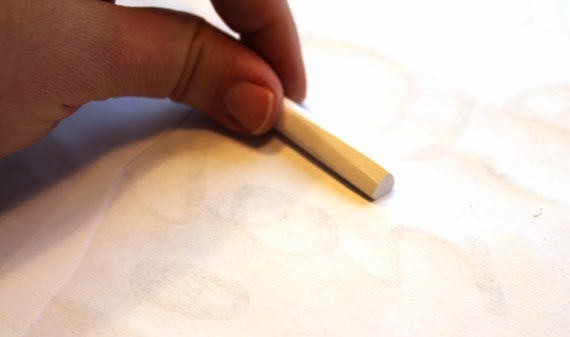 To transfer the design of the printable to the foam core board, first start by using the side of a piece of chalk to cover the BACK of the paper with white chalk. 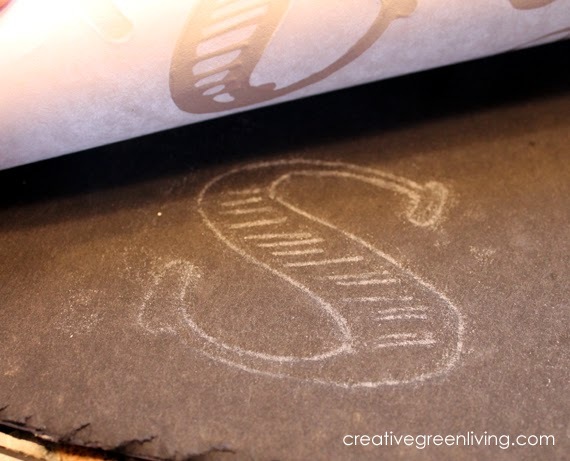 Carefully place the paper chalk-side-down on the black foam core and tape the edges in place to prevent sliding during the transfer process. 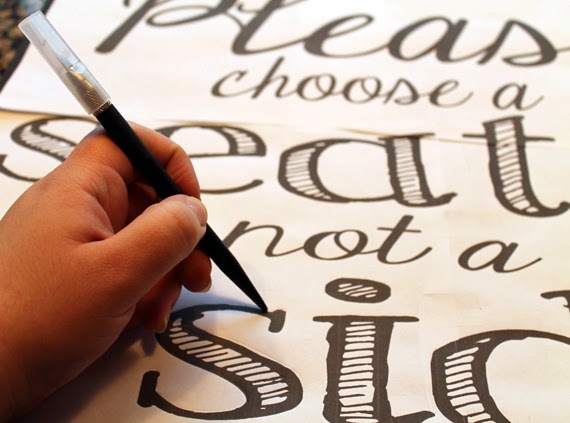 Trace the outline of the letters with a ballpoint pen (I used the back of my craft knife - this is the one I use ). Lift up your paper to check your progress from time to time. Re-trace any areas that did not transfer properly. Fill in the transferred image with chalk. 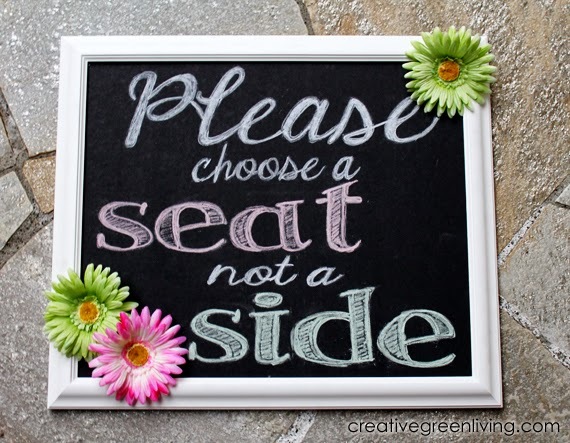 I used white chalk on "Please choose a", pink on "seat", white again on "not a" and green on "side". Pink and green of course, being two of the wedding colors. This would look great in just white as well. 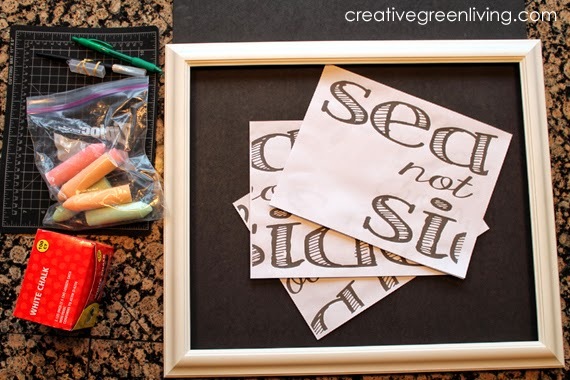 Once the outline is filled in, use hot glue to hold the board in place inside the frame. 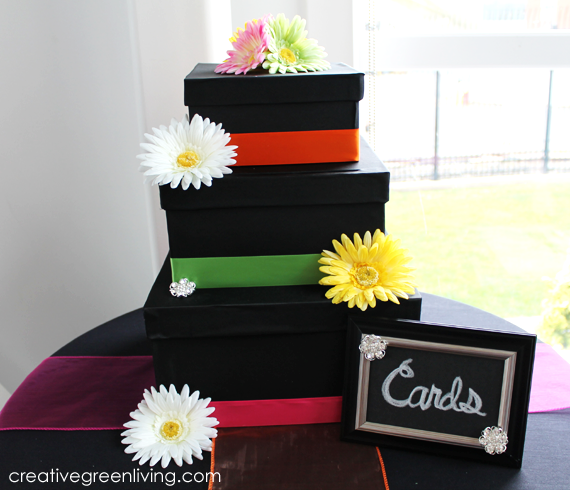 I also added some extra faux gerbera daisies (their wedding flowers) in the corners. How does the chalk not come off of this board? 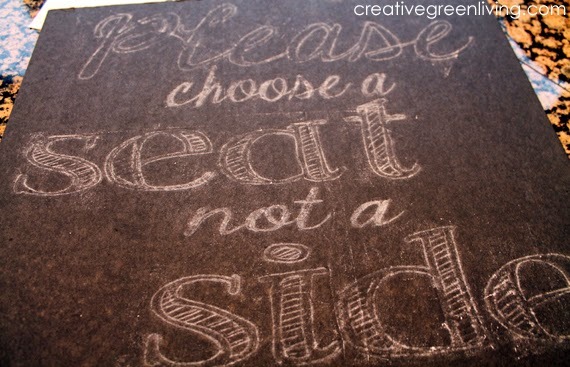 Because it's not made with an actual chalkboard which is designed to erase, the chalk doesn't rub off. 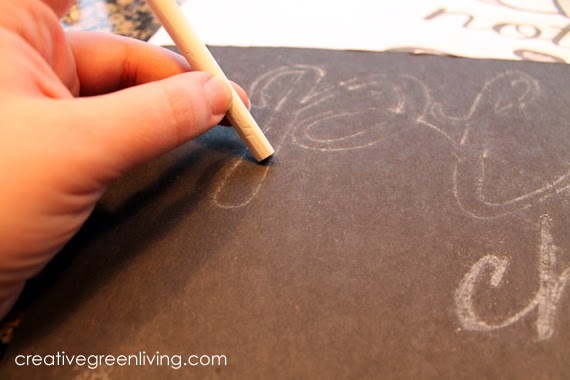 Think of it like drawing with chalk on a piece of black construction paper. You could potentially smear it if you rubbed hard but it's not something that someone will brush against and erase on accident.